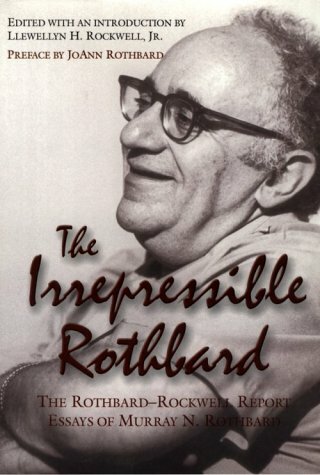 Murray Rothbard called his political philosophy anarcho-capitalism to differentiate it from the far more common “communist anarchism.” Or, rather, it was more common then. 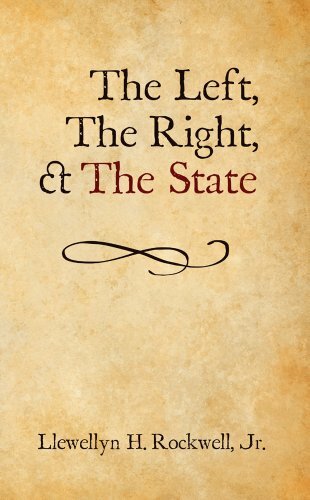 Today, Murray’s vision of the free society without the oppressive, bloodthirsty, predatory State, and buttressed by private property, laissez-faire, and non-aggression, has relegated the bad guy anarchists to a particularly dusty corner of the history of thought. Never, ever, has there been so much interest in a truly libertarian society. Young people in this country and all over the world are flocking to the Rothbardian banner. No coincidence, at the same time. media attacks on us have never been so intense or so frequent. Politicians, who you might think would be content with their looting and killing, are vociferously denouncing anarcho-capitalists, because we worry them. 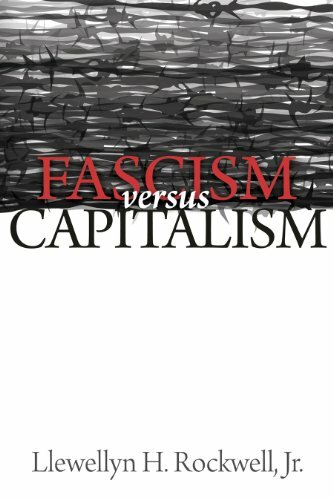 Fascism versus Capitalism Llewellyn H. Rockwell Jr. Check Amazon for Pricing. This is all great news, and why I want to tell you about my new book, Against the State: An Anarcho-Capitalist Manifesto. In it, I seek not only to tell the truth, but to refute the lies. Best of all, I think Murray—to whom I’ve dedicated the book–would be saying, Attaboy! In this work, I talk about why I am an anarcho-capitalist, and the evils of the State, from the war system to the war on drugs, from the assault on our civil liberties to the damage the bankers’ Fed does. Why not “limited government”? The idea, I show, is as meaningless as the phrase. I also talk about how anarchy would work in a practical sense. Is it ever morally justified to initiate violence or the threat of violence against the innocent? Of course, not, yet that is the State’s daily bread. I think this book—inexpensively priced in a physical edition and Kindle–can do much good for our ideas. Won’t you help me make sure that it does? I would be so grateful. And Murray would be saying Attaboy or Attagirl to you! Previous article by Llewellyn H. Rockwell, Jr.: Do We Need a Thieving, Warmongering Ruling Class?